1. Did you plan your first solo show with all the different formats (painting, photography, installation) featured in the beginning? Ben Ashton (BA): I started my last series of work by photographing different poses/attitudes with a mind to using the images in different ways. 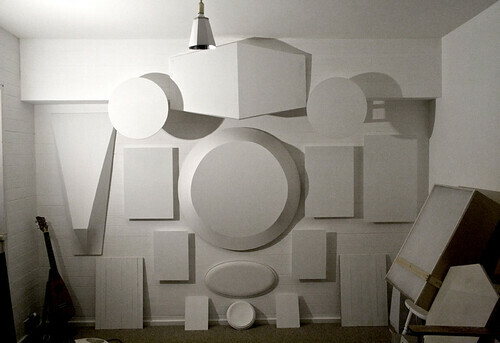 Some of the material was immediately translated into painting whilst others either stayed in their original format or were turned into optical installations. It was only toward the final weeks leading up to the exhibition when I started building the larger installation pieces that fused the whole show together. I feel that from the initial photograph my work follows a gradual freeform evolutionary path till it reaches its final destination. 2. Are there any particular influences throughout your artistic career, e.g. other artists, certain types of music, certain social phenomenon etc? BA: I now have a very specific set of influences that I have narrowed down through the years. I try not to be overly influenced by other contemporary artists as I feel there is a risk of regurgitating what has too recently been done. I rather immerse myself in different parts of history, be that art history, the history of science or technology and innovation. 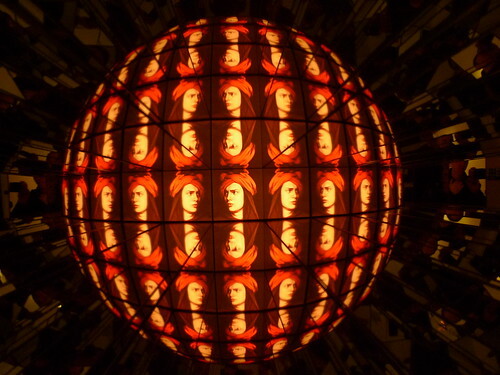 I have been particularly interested in Victorian discoveries such as Stereoscopy and the Kaleidoscope. I meld these parts of history with my view of the contemporary world, often bringing to light things that have been lost through time. 3. 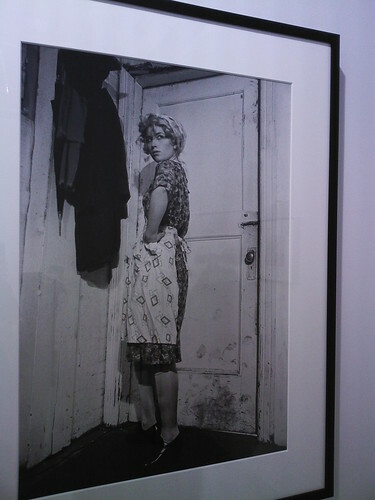 Do you view your works to Cindy Sherman’s, as both of you are attempting to portray another person through yourself? BA: My last series could definitely be compared to Cindy Sherman’s even though she has never directly influenced me. We both have used ourselves in the appropriation of other peoples’ images. In my next series of works I have moved away from playing out scenes from art history and instead my influence is much harder to place. 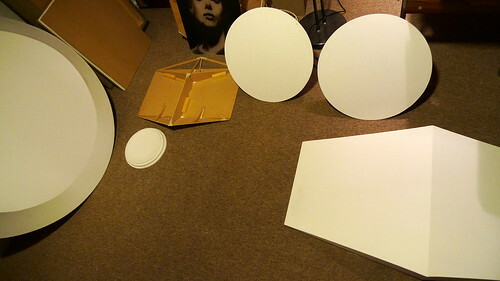 In the context of the question, I feel that this is what separates me from artists like Sherman. 4. The curator/gallery owner mentioned that you are working in-residence during your first solo show. How does it influence you to have feedback from the audience directly or become a live exhibit of your own? BA: I have always worked within my shows. I feel that it is important to show that the creative process never stops and I believe that it is interesting for the public to watch the show evolve over time. It is important for me to get feedback from the audience as I spend most of my time in complete solitude. I also think it is a great chance for the visitors to receive a different type of input directly from the artist and I hope this makes the whole experience more personal. The gallery is often perceived to be a cold and clinical environment and I wish to change that misconception. 5. Do you have any future plans? What’s next? 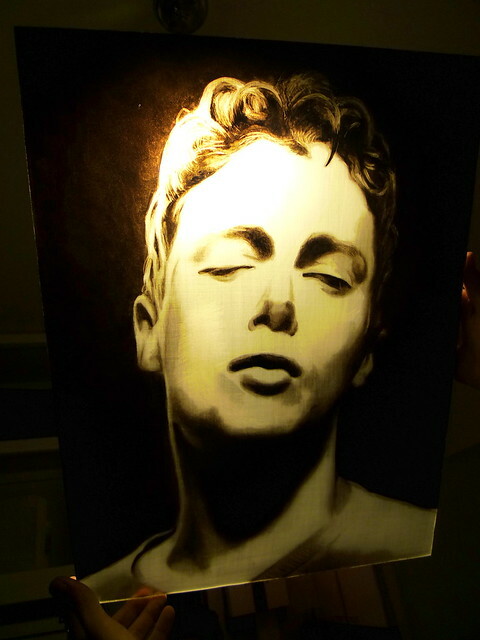 BA: I am currently working toward a solo show in February 2011. This show focuses on my studio as a domestic environment, taking its starting point from the era of Dutch Genre paintings. I am interested in the confined environment that I work in and the close interaction with my wife who also inhabits the space. I feel this introspective view of our life breaks down the barriers I had built up in my work and gives a very honest account of my reality. Thank you Ben for the interview - looking forward to the show next year! 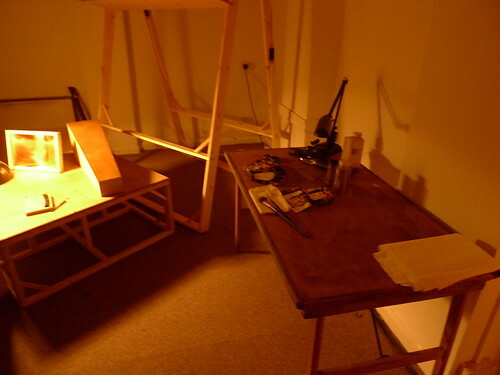 Artist Ben Ashton is holding an open studio during the Bloomsbury Festival this weekend. He has been preparing his upcoming show in Simon Oldfield Gallery's Bloomsbury Studio and you can visit it this weekend to learn about all his interesting ideas and gallery mock-up installations. If you are not able to drop by in person, you can still visit online here. And this online open studio is going to be around even after this weekend.